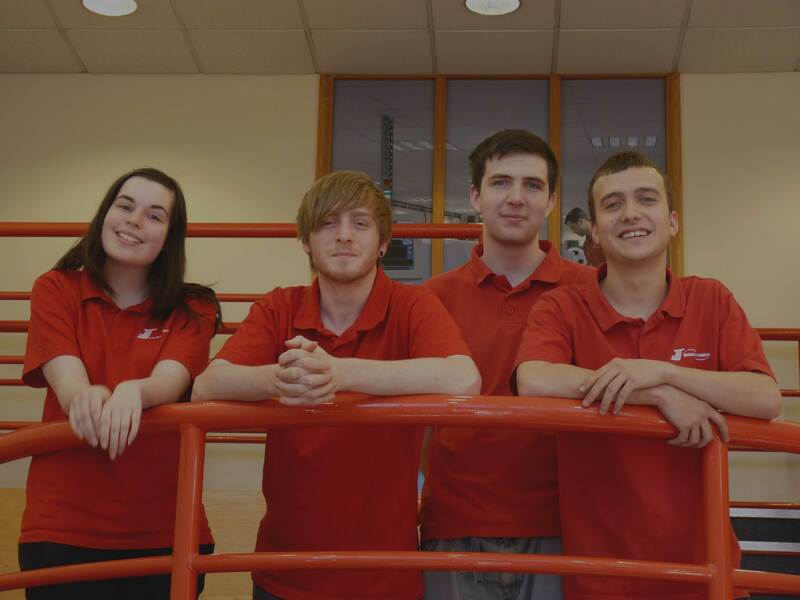 Our Engineering apprenticeship programme is proven to deliver results. 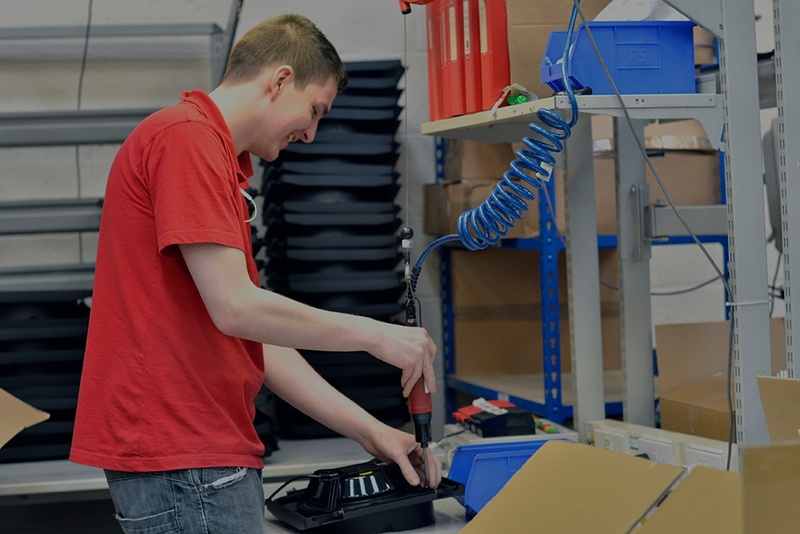 With a combination of internal training, hands-on work experience and formal qualifications (BTEC in either Mechanical, Electrical, or Electronic Engineering), we provide you with all the tools and training you need to start building your own career within our growing manufacturing organisation. 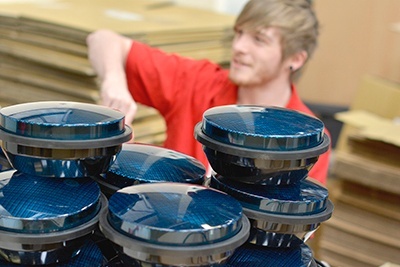 Previous experience within electronics or electro-mechanical manufacturing is not essential. However we do want to see a great sense of humour, positive attitude and the passion to learn new skills in order to develop yourself. The products our customers design and sell are truly amazing and are often extremely complex. 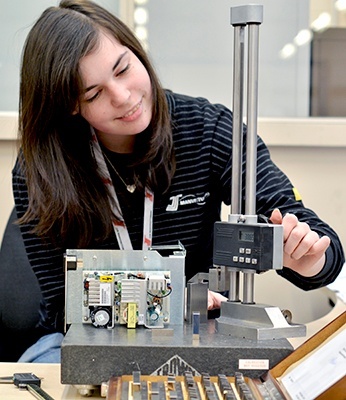 Combining electronics, electrical, pneumatics and wide range of mechanical components, our Engineering apprenticeship opportunities provide an exciting opportunity for you to get hands-on and learn the processes and controls needed to assemble and deliver quality product, on-time, every time. We understand that finding the right apprenticeship is important. We also know that it can be daunting at times. With so many different questions going round in your head it can be hard to compare one scheme to another. The good news is you’re not alone! All of our past and present apprentices will have had similar questions to yours. To find out a little more about them and their journey with us so far, here are their own stories. I was made aware of the JJS Manufacturing apprenticeship by my parents and decided to go along to the Open Day to find out a bit more. Being so close to where I lived meant it would be easy for me to get into work which was an important factor for me when looking at different schemes. Before I went along I had a number of questions I wanted answering; like what was the pay scale, what kind of work would I be expected to do, what level of course would be provided, how many days holiday would I get each year and would it be possible to progress within the company. During the Open Day all of my questions were answered and I had a good opportunity to talk with a number of staff at different levels – including those already on the scheme. Whilst walking around the building it was good to see that the factory and office spaces were clean and tidy and I also learned a bit more about the flexi-hour system. After looking at other apprenticeship schemes I was pleased that the pay being offered was competitive for my age. I joined JJS in September 2015 and I’m currently working towards my BTEC Level 3 Electrical and Mechanical Engineering on day release at South Leicester College once a week. After I have completed my BTEC Level 3 I have the opportunity to then move onto an HNC which will take around two years to complete. Having undertaken a Level 2 NVQ in Engineering at school I knew early on I wanted to pursue a career in this kind of area. I felt that completing an apprenticeship would be the best way for me to get involved ‘hands on’ especially due to my lack of previous experience. I was told about the JJS Manufacturing apprenticeship scheme by my parents. My first 6 months after joining JJS was dedicated to experiencing the different areas and processes around the factory and I thoroughly enjoyed working in several other departments including; logistics, test and through-hole assembly. I have now taken up a permanent position within the Quality Assurance (QA) department. There are so many different, interesting aspects to my job; from inspection to investigation, which means there is always something new for me to learn. During my time with the company I have been given the opportunity to attend a number of training courses and plan to attend others in the future to support my personal development. Before joining JJS I previously worked in a local garage as a trainee mechanic. It became clear to me after a while that this wasn’t an area that I wanted to carry on working in so I started to look for other local opportunities. I heard about the JJS Manufacturing apprenticeship and decided to go along to their Open Day. During the Open Day I found out much more about the pay scale, holiday entitlement, discounted gym membership and what kind of courses JJS would support me with should I be successful. The flexi-hours system sounded good and I liked the fact I would have the opportunity to get involved in a variety of projects due to the wide range of customers and products JJS supports. Walking around the factory it was clear to me that the environment I would be expected to work in was both clean and safe – something that was very important to me. Everyone I spoke with on the day were polite and I was also impressed with the workwear each employee receives when joining. I joined JJS in August 2015 and have already worked on a number of different products. I am currently working towards my Level 2 NVQ in Electro-Mechanical Engineering at Leicester College. When I started looking for a job I wasn’t really sure what I wanted to do. I knew I wanted to carry on my education in some way and I’ve always had a strong interest in wiring/electronics as they are interesting subjects to keep up to date with. When I saw JJS Manufacturing advertising their apprenticeship scheme in the Swift Flash, I straight away looked on the website to find out more. It was full of helpful information about what the company does and the products it manufactures. At the time there were a number of different roles available on the shop floor but I was interested in the wiring department. During my interview I explained this was an area I was keen to get into and I am now working my way around the company to build up my skills. I’ve already worked on a few wiring jobs which have given me a good opportunity to demonstrate the skills I’ve gained over the past year since working here. Once I have finished my training I hope to move into the wiring section on a full time basis. Right now I’m studying for my Level 3 NVQ Extended Diploma in Electrical and Electronic Engineering at Leicester College and have completed my first year/Level 2. Why choose JJS for your apprenticeship? There is a real opportunity for you to progress within our company. Our training plans are clear yet flexible and built around your needs. We offer a competitive salary and have clear salary scales in place. You have the opportunity to learn 'hands-on' from our experienced staff and engineers. You will get to work on a wide variety of products and technologies. We are a well established, profitable company which continues to grow. We have a strong focus on employee engagement right across our organisation. You will require a minimum of 5 GCSE passes at A* to C, including higher tier Maths, English and Science; or NVQ level 2 Foundation apprenticeship (or equivalent). Through a local college of your choice you will study on a day release agreement to BTEC Level 3 in Electrical, Electronic or Mechanical Engineering. Depending on your existing qualifications this will take you between 1-3 years to complete. We offer a competitive salary with regular progress reviews. This starts at £4.50 per hour (£178 per week) for 16-18 year olds and £5.90 per hour (£234.52 per week) for over 18’s. It's important to us that you understand every aspect of our business. During the first 6 months you are with us you will work across all parts of our manufacturing operation - from logistics right through to test. The next 18 months will be more focussed. You will have the opportunity to really get 'hands-on' within our production and test departments. You will build amazing products, you will test them and you will be asked to solve manufacturing challenges. be able to work towards and achieve goals whilst remaining focused. be willing to take responsibility for yourself and stay motivated. demonstrate to us you are adaptable and flexible. show you are responsible and have a mature attitude. have practical skills and a thorough approach to problem solving. commit to excellent attendance and housekeeping.